Bruna is a resident of Jardim Canadá since she was born in 1992. She is finishing a BA in Physical Education at the Isabella Hendrix University in Belo Horizonte. 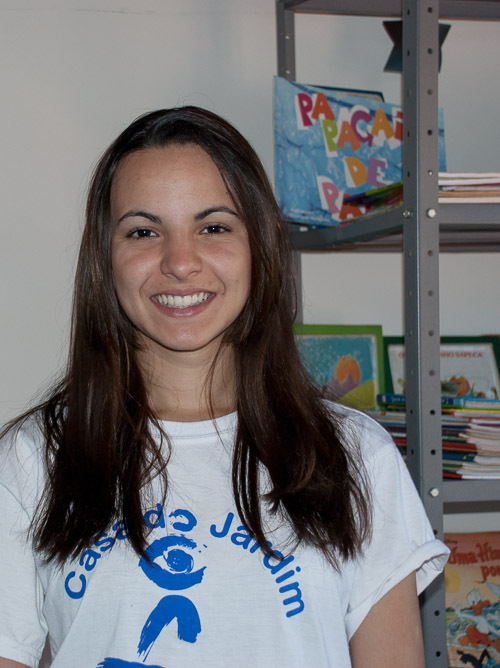 Bruna started working at Casa do Jardim as an intern of the Broadening Horizons Program, acting as a teacher of ''Arts and Play Time´´ and supporting Casa do Jardim Staff. She left in 2012 to work for a year as an intern at the Municipal Secretary of Sports. Bruna return to Casa do Jardim in 2013 and is responsible for working closely with the coordination of Broadening Horizons Program. Why do you like to be part of the Casa do Jardim team? What impact do you think CJ is making in Jardim Canada?